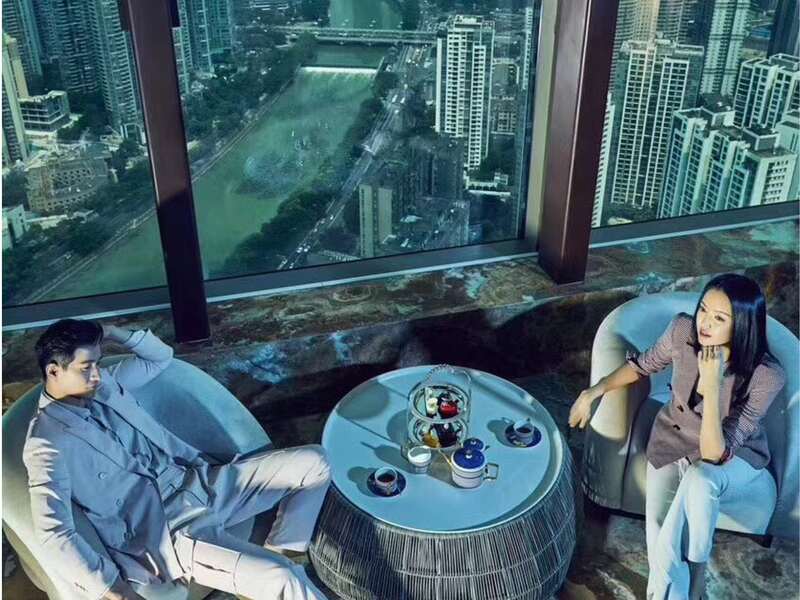 Recently the Tianxi Twin Towers in Chengdu that are marketed as Armani Towers served as background and location of a fashion shooting for Chinese ‘Voyage’ magazine. The shooting included Chinese actress, singer, fashion model and Miss World 2007 Zhang Zilin. The different locations chosen reflect the qualities of the building: iconic ensemble, recognizable facade, views onto the city and high-class materials.